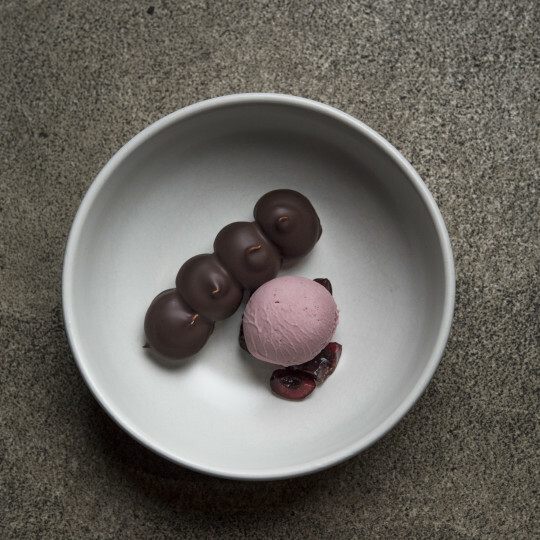 Jesus Perea has created desserts at some of New York’s finest Italian, French, Scandinavian and modern American kitchens. 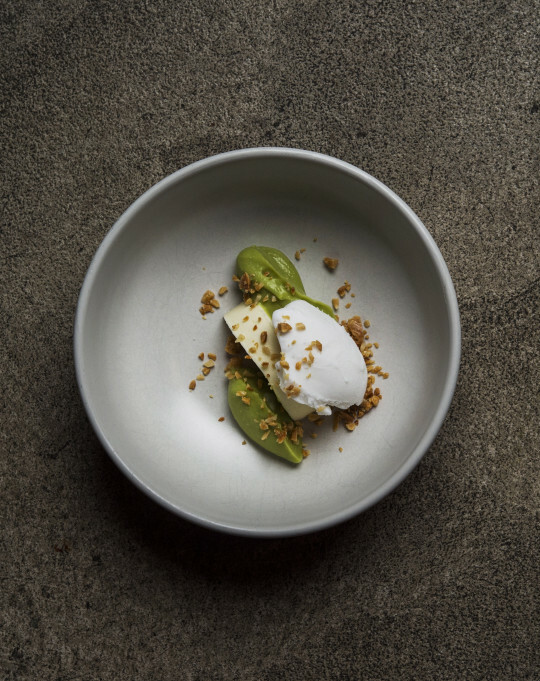 He is now the pastry chef at Cosme, Enrique Olvera’s first restaurant outside of Mexico City, where he has created the most talked about and instragrammed dessert of the year. Can you tell us a little about where you grew up and how you got interested in food? I grew up in the Bronx (New York) and I first started cooking at home. My mother worked and wanted to make sure we were fed well, so she started teaching me to make tortillas and kept going from there. Where did you get started? My first job was at Rosa Mexicano, then I went to Le Cirque, Aquavit, Le Bernardin, Del Posto, The Elm then to Pujol in Mexico City and then came back to New York when we opened Cosme. Have you always been a pastry chef? No, I started in the kitchen, but got interested in pastry because I loved the science behind it. Who do you consider a mentor? Working with Michael Laiskonis at Le Bernardin taught me a lot about how I want to work. He touches everything and every night, he stayed until the last plate went out. I really respected his dedication. Enrique Olvera really seems like a benevolent Father to the team here. What’s your experience been like working with him both in Mexico City and here? 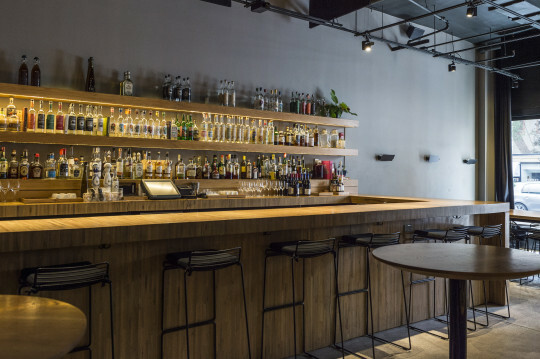 The kitchen at Pujol and the kitchen here are totally different. I mean we have fun at both, but things are much more organized here. It’s been said that Enrique is against using sugar and wants to take dessert off the menu at Pujol. Is he serious and how do you feel about that? It’s true, Enrique doesn’t like sugar, but Mexicans like sweets and people order a lot of dessert, especially at Pujol. It’s way more than they do in New York. .
Cosme is certainly the only Mexican restaurant of it’s kind in New York – What do you think the the rest of the world should understand about Mexican cuisine? Mexican food is all about slow cooking and flavors. When you make something like mole, there are many ingredients, but you should be able to taste each one. That’s hard to do and really hard to find outside of Mexico. Any new dishes on the menu that you’re excited about right now? Right now I’m making a chocolate covered marshmallow – called Bubulubu – Instead of the usual almond sablé base, we do chocolate and are using cherries. Because they are perfect right now. 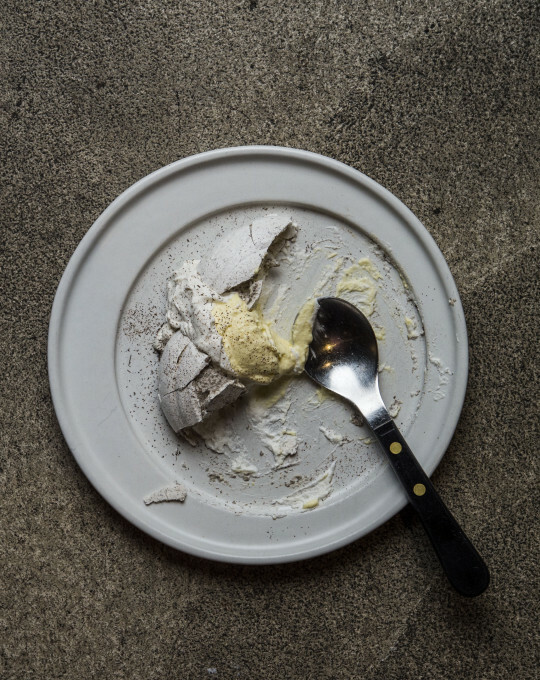 Your Corn Husk Meringue is was one of the most talked about dishes since the restaurant’s opening and probably the most photographed dessert of the year. How did the idea come about? It was a few things, La Gran Via is a bakery in Mexico City, famous for meringues. Enrique and Daniela (Soto-Innes, Chef de cuisine) grew up with that. We used that idea as a starting point. Also, we knew we wanted to use corn, and make it not too sweet. And Enrique hates waste, so I thought, what could I do with this corn husk? So I charred it and added little by little and it took a really long time, until we were happy with it.